With a market on next week I've been spending quite a bit of time adding to my pile of stock....just a few bits and bobs here and there. It's nice to add new things, but it's also nice to keep the regular stuff up to date and fresh. 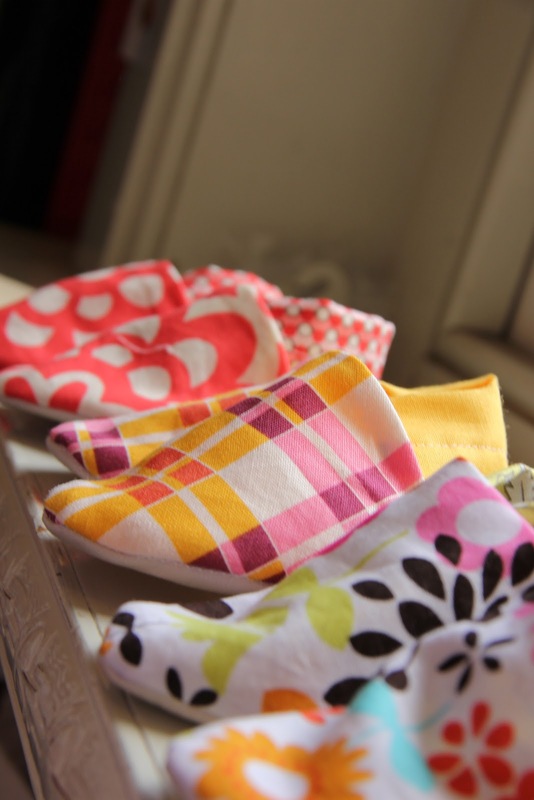 These little booties are the result of too many off cuts of fabric and the need to provide for those with feet small enough to fit into them. I just need to finish off the boys booties but these girls ones are looking rather colourful for the start of Spring! Then there will be usual preparation that goes with all markets...the table, props, a float and this time some assistance in organising as it's to raise money for our local kindergarten. 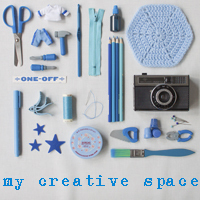 I'll be joined by some friends that craft as well, so if your free on Wednesday night the 12th of September come and visit from 6.30 - 9.30 at The Neighbourhood Facility in Prospect Street, Pascoe Vale South. How do you prepare for an upcoming market? Slow and steady or full steam ahead on those last few days before hand? I'm all over the place with markets (only done 2 here so far) Its either panic at the last minute or slowly get there over the month before! These are lovely. Hoping you have a fabulously successful day. Cute booties! Love using up the offcuts on something useful rather than them going to waste. Slowly, then mad rush at the end here... I'd love to spend my while time on it, but things just keep getting in the way. For eg. right now I am in hospital with my three year after having her tonsils and adenoids out. It's currently 3 am and she's wide awake after sleeping all afternoon. 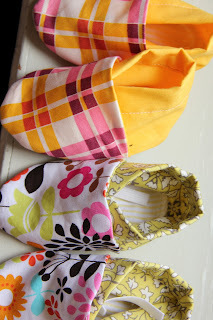 If only one could bring a sewing machine into hospital...I am in love with your booties! Looking forward to seeing your other goodies on Wednesday night! I really need to get cracking! Just deleted my extra comments - didn't mean to do it three times - apologies!! That's 3 am at hospital on an iphone for you!